Contemplative or "noetic" knowledge has traditionally been seen as the highest mode of understanding, a view that persists both in many non-Western cultures and in Eastern Christianity, where "theoria physike," or the illumined understanding of creation that follows the purification of the heart, is seen to provide deeper insights into nature than the discursive rationality modernity has used to dominate and conquer it. Working from texts in Eastern Orthodox philosophy and theology not widely known in the West, as well as a variety of sources including mystics such as the Sufi Ibn `Arabi, poets such as Basho, Traherne, Blake, Hoelderlin, and Hopkins, and nature writers such as Muir, Thoreau, and Dillard, The Noetics of Nature challenges both the primacy of the natural sciences in environmental thought and the conventional view, first advanced by Lynn White, Jr., that Christian theology is somehow responsible for the environmental crisis. 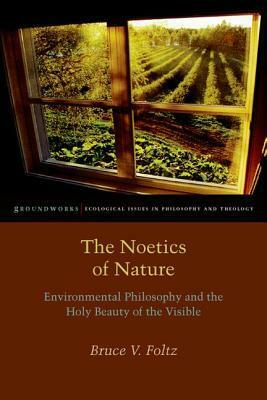 Instead, Foltz concludes that the ancient Christian view of creation as iconic-its "holy beauty" manifesting the divine energies and constituting a primal mode of divine revelation-offers the best prospect for the radical reversal that is needed in our relation to the natural environment.